Woodward and Bernstein: Often characterized as a “third-rate burglary,” history proved that [Watergate] was anything but. “Two years later, Richard Nixon would become the first and only U.S. president to resign, his role in the criminal conspiracy to obstruct justice — the Watergate coverup — definitively established. Another answer has since persisted, often unchallenged: the notion that the coverup was worse than the crime. 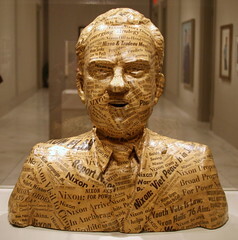 This idea minimizes the scale and reach of Nixon’s criminal actions.” (The Washington Post). JonahLehrer writes in the New Yorker on the work of Kahneman and others,showing that we are not nearly as rational as we would like to believe. Moreover, the Smarter People Are, the More Susceptible They Are to Cognitive Bias.